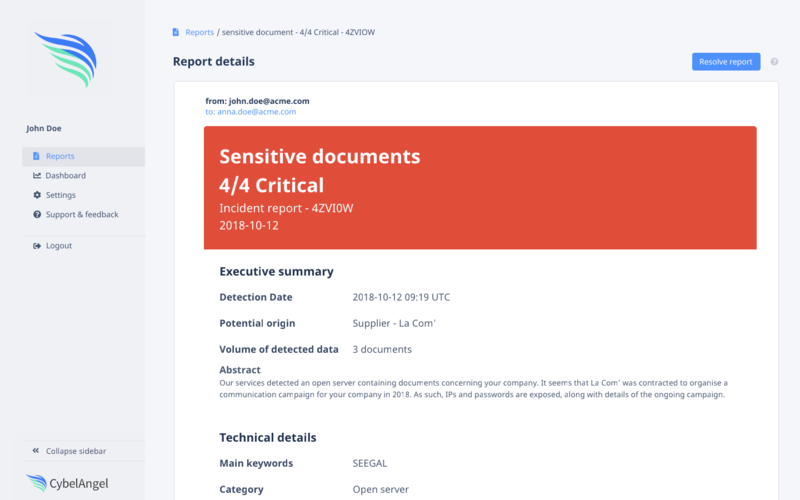 CybelAngel can perform a comprehensive scan of the internet for your leaked information, and you’ll be guided through your results by one of CybelAngel’s expert cybersecurity analysts. No cost. No commitment. CybelAngel analysts need just a 30 minute discovery call to obtain the feedback required to initiate your scan. The analyst bandwidth that’s currently dedicated to these free, custom demos is limited, so get yours scheduled today!